[toc]Epilepsy is a chronic neurological disorder of the brain which sends wrong signs resulting in seizures. Epilepsy is the result of excessive electrical impulses sent by the brain which causes stiffening of the muscles which in result causes jerking reactions. The causes that trigger epilepsy are brain trauma, strokes, brain cancer, central nervous system infections, and drug and alcohol misuse. It can also be due to any trigger such as reading, emotional stress, sleep deprivation, heat, stress, alcohol, ferbile illness. 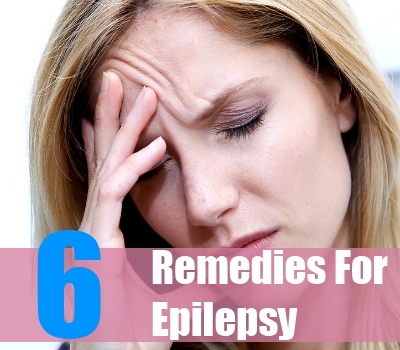 Epilepsy can be controlled but cannot be cured. The physiological condition that results in the occurrence of seizures is the failure of the blood brain barrier or due to the interactions between a common blood protein – albumin and atrocyties. The blood brain barrier acts as a filter preventing toxins like mercury, aluminum from entering the brain, its failure results in toxins developing in the brain which is also one of the reasons for epilepsy. In some of the cases it is the inability of the astrocyte from preventing common blood protein albumin from entering the brain which can damage the neuronal tissue. The common symptoms of seizures are stiffening of muscles, shaking of the hands and legs, constant staring, no control on urine, unconsciousness, make noise, memory loss, vomiting. Certain home remedies when used regularly can prove beneficial in reducing the symptoms to a large extent. 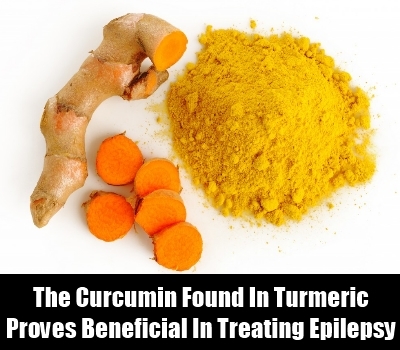 The curcumin found in turmeric proves beneficial in treating epilepsy. The low molecular weight and polar structure of curcumin allows it to penetrate into the blood-brain barrier effectively. Curcumin possess antidepressant activity, modulating the release of serotonin and dopamine associated with feelings of well being. Curcumin enhances the level of brain derived neurotrophic factor which acts on certain neurons of the central nervous system. The neuroprotective properties of circumin prove beneficial in treating epilepsy. It is a potent inhibitor of reactive astrocyte expression. 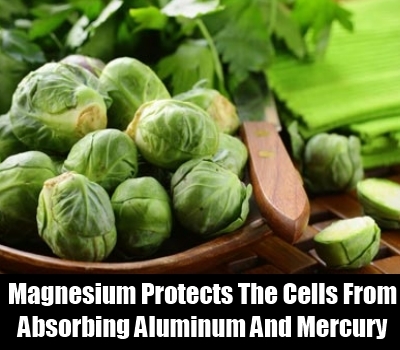 Magnesium is a mineral necessary for electrical stability of every cell in the body. Magnesium deficiency is also linked to epilepsy resulting in hyper-excitability in regions of the brain. Magnesium protects the cells from absorbing aluminum, mercury, lead, cadmium thus inhibiting seizures. Magnesium also has a calming effect in the nervous system resulting in good sleep. It helps in normal muscle and nerve functions. The fruits and vegetables that are rich in magnesium are Spinach, Kale, pumpkin seeds, beans and lentils, brown rice, avocado, yogurt, banana, coriander, dill, Sage basil, Flaxseeds, Brazil nuts, Peanut butter, beet greens, sweet corn, cabbage, peas, cucumber, blackberries, raspberries, strawberries, watermelon, guava, kiwifruit. Epsom salt is also a rich source of magnesium which one can consider to take one tablespoon in the morning. Epilepsy is also the result of toxins like mercury and aluminum present in the brain which is the result of improper functioning of the blood brain barrier. These metals get firmly bound to proteins and peptides. The presence of mercury leads to swelling of the astrocytes thus contributing to exaggerated and continuous stimulation by neurotransmitter leading to epilepsy. The supply of Vitamin C changes mercury into gaseous form at body temperature which crosses easily through the cell membranes and tissues which can be thus eliminated from the body easily. 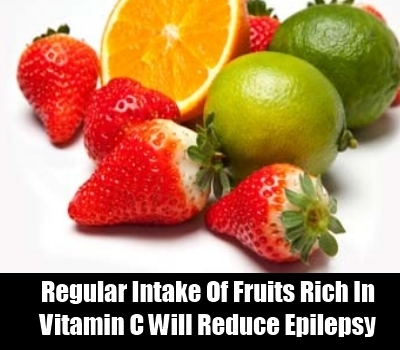 So regular intake of fruits and vegetables rich in vitamin C will prove beneficial in detoxifying the brain and reduce epilepsy to a great extent. Some of the fruits and vegetables rich in Vitamin C are Kale, mustard greens, broccoli, cauliflower, papaya, oranges, strawberries etc. Cilantro is a natural cleansing agent. Being a powerful antioxidant it boosts the immune system. Anti-inflammatory properties alleviate inflammation. 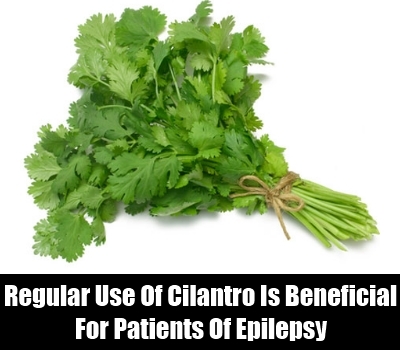 Regular use of cilantro is beneficial for patients of epilepsy. It mobilizes mercury and other toxins from the central nervous system which is then easily eliminated through the excretory system. It also calms down the nervous system and improves the quality of sleep. 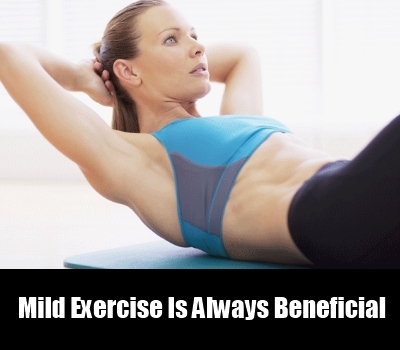 Mild exercise is always beneficial. People with seizures fear that while exercising it will be triggered but such cases are rare. Not to overexert or continue any exercise if you feel fainty. Regular mild exercises infact reduces the cortisol level in the body related to fear, stress and overall a feeling of well being is developed and also proves beneficial in reducing the frequency of seizures. Certain lifestyle changes when made prove beneficial for patients of epilepsy. Say no to drugs or alcohol. Avoid emotional strees, skipping meals, avoid sugar, caffeine. 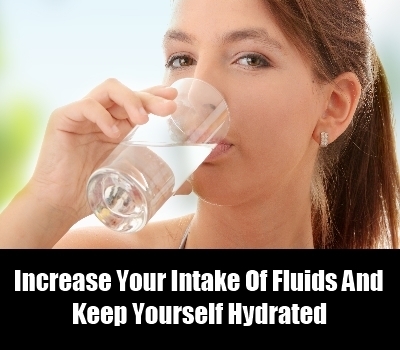 Increase your intake of fluids and keep yourself hydrated.